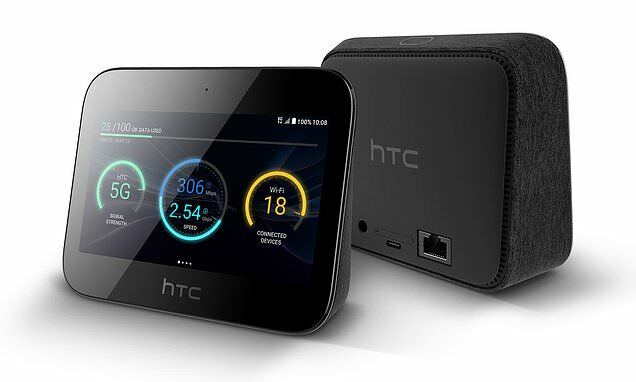 Taiwanese company HTC has launched a brand new 5G Hub. Unveiled at the Mobile World Congress in Barcelona, the tablet-like device supersedes previous models by allowing consumers to use fifth-generation connectivity on multiple devices. Boasting a 5-inch HD touchscreen which allows 4K video streaming and gaming, it also doubles as a mobile hotspot for up to 20 people. Experts are already predicting it could replace the traditional Wi-Fi routers, which can cause slower speeds. Intuitive voice command and remote-control features make it quick and easy to manage entertainment and productivity needs. Sold in the UK via Three, it comes complete with a 7,660mAh battery, which guarantees long life away from the mains socket. In the UK, the device will be sold through Three UK. It will be available in other markets via Sprint, Telstra, Deutsche Telekom (Germany), Sunrise (Switzerland), and Elisa (Finland).